Ray: I always pay a visit to your excellent site,one of my first stops leading up the Barca matches. I even posted a couple of times using my real name,but no one believed it was me…so I stopped. Phil: Mes que un blog, eh? Well, for me I don’t read everything but I try to. I have gone to your site, a lot over the years. However, nowadays with so much good information out there I tend to not go to websites directly. Rather I have RSS feeds set up to bring interesting stories to me or I’ll search for something, like a Barcelona preview. And when Barcelona Football Blog pops up I tend to give it a read. And as for Ray, our PR guys are good, but no one can make Ray do something he doesn’t want to! For quite some time people were concerned about no American network picking up the rights to La Liga. What can we expect now that BeIN SPORT has taken on the mantle? Ray: Like you all do with Barca…bigger,better and more brilliant with every passing year…and if there’s a mistake or disappointment along the way, its the end of the world!!! Phil: I think La Liga is ingrained in the American soccer culture now. The Premier League has a huge head start but when you have the stars and history that are in Spanish football nowadays, anyone who knows anything realizes the quality on display in La Liga. However, what we were able to be a part of before when it first burst onto the screen to nowadays with the fantastic work that beIN Sport is doing just drives that quality home. Do you believe La Liga has the potential to become America’s most popular league? Ray: If the predominantly Brit-centric culture subsides and viewers WATCH the actual quality of Liga and appreciate the aesthetic of the Spanish league over the atmospheric EPL…and there needs to be a more equitable agreement between all the clubs for the TV money,to allow the other clubs at least some chance of closing the gap on Real Madrid and Barca and make a more competitive league. Phil: Whew. Like I said, the EPL has a big head start. For example, I’ve been following Arsenal since the 1970s back when it was on PBS! And there might not be a better publicity machine than the Premier League in all of sports. However, the quality of play is not always the best to put it mildly. It’s a great experience, due in large part to the fans in the stadium. And the best teams do play some nice football. However, from a technical, skill perspective it can’t compare to La Liga, the Bundesliga or a resurgent Serie A. I’d say even France and Portugal are getting closer to the EPL every year. Still, as I said, it has a history – and it shares a common language so that American fans are always able to find out what’s going on in England. However, there are so many languages spoken in American soccer that English is far from exclusive – and soccer is a language all its own. And with the explosion of the internet and social media, blogs like yours are able to fill in those gaps to make it a much more complete experience for La Liga fans. Speaking of which, what is the state of La Liga in your view, and what are some ways you would improve it? Ray: See above…plus use an additional referees assistant behind the goal. Phil: It’s an extremely exciting league with so much skill and talent on display every week. I think the rise of teams like Atletico Madrid, Athletic Bilbao and Real Sociedad in recent years have made it even more engaging. It does have an unfair reputation of being a two-team league, but when you’re competing against the likes of Barcelona and Real Madrid, it’s not easy to grab the headlines. However, some critics have assumed that this means the teams that finish behind them aren’t good. That’s why the performances in Europe by Atleti, Athletic, Valencia and the others are so important. However, I do think it could be a house of cards, maybe a house of credit cards is a better description. The league needs to shore up its financials. You’re only as strong as your weakest link, and if teams are falling by the wayside that diminishes the big teams at the top as well. I think the Bundesliga might have caught up with La Liga as the best league in the world, and Serie A is rapidly reclaiming its past glory. Still, I believe an equitable sharing of television revenues and practical, logical restraints on piling up debt can only make La Liga stronger in years to come. What kind of advance scouting do you do before calling a match, and how much pre-match prep goes into it? Ray: I read all the same outlets as any fan of the game, plus we get help from beIN Sports staff. Phil catologues every statistic known to mankind since Noah was building his Ark, so I leave that to him. Theres a risk of “over-analyzing” also because I always feel like every game takes onto itself its own personality and theres no predicting what thats gonna be. I try to take into account very recent form as my main reference point, rather than what happened in a particular fixture over,say 10 years…same goes for player individually; where are they on their performance chart, judging that by their own standards. Phil: Ha! It never stops. I read what’s going on for hours at a time, every day. And as we get closer to game day, I focus in more on the game at hand. Plus, we get information packets from the producers, the league, statistical breakdowns and much more. Then, it’s compiling all of that information as neatly and organized as possible so its accessible when you need it. What do you say to people who accuse you of favoring Barça over RM, or the reverse? Ray: I have given and will always give every team the credit and criticism they deserve,regardless of the color of the shirt. If a listener has that bias against me its because they are perhaps “hearing” what I`m saying and not “listening”…theres nothing I can do about that but I love the performers of cultivated football no matter who it is,in what league and what country. Phil: Well, there are only a few teams I would say I was a true fan of, Arsenal, the US national team, Ray’s old Strikers and Fusion – but I think if you’re a true fan in this business, you’re probably even MORE critical of the teams you support. I know Ray hears that a bit, but that’s from people that just don’t know Ray. Ray’s not really a fan of teams, but of players – and specifically players that play a certain way. He loves Messi, but he probably loves Riquelme even more. 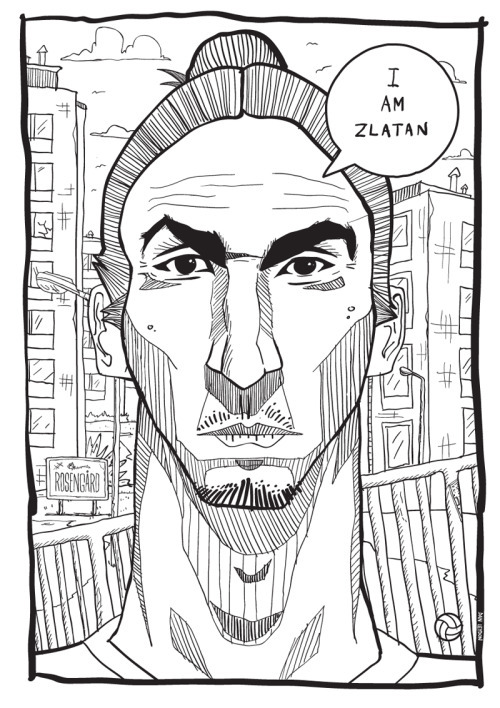 And he’s a huge fan of Özil and Ibrahimovic. I think he appreciates players who put in that extra effort, but he’s a fan of players who have been blessed with that vision, that talent to do the impossible. (to Phil) You have been commenting soccer matches since 2002. Now that the game has gained more and more respect in the U.S, have quips and garbs from family and friends turned into acknowledgment and admiration for being a pioneer? Phil: 2002? I wish I was that young! Let’s see, my first soccer telecast would have been some time back in 1988 or 89. I did some games in the old ASL in New Jersey. I did an Olympic qualifier in Dublin, Ohio back when Alexi Lalas was just growing that beard! You’re right though. It wasn’t easy to find soccer on English-language television back then. I loved soccer so much though that when I found out that I could get paid to talk about it… it’s like that line from Dumb & Dumber “So you’re saying it’s possible!” My first national exposure came in 1996 as the first voice of Major League Soccer. That was a special day in San Jose calling Eric Wynalda’s goal. I’ve been able to call action from several World Cup tournaments, the Copa America and so much more. There was a belief back then that soccer announcers were either waiting for an opportunity to jump to one of the so-called ‘big’ sports, or just weren’t good enough to get there. Nowadays, after nearly two decades of MLS and all of the soccer channels that have blazed the path to where we are now with beIN Sport, there are some great announcers out there that share my love and passion for the beautiful game. I don’t know if I’d call myself a pioneer, but I was blessed and fortunate enough to have the opportunity to do what I love for a living. Thank you Levon and BFB. I cannot believe the mighty Ray commented here once. but I think if you’re a true fan in this business, you’re probably even MORE critical of the teams you support. – very true. We all knew this blog was great, but I used to always wonder if other (famous) people in football visit this site, owing to its quality content and comments. Now that Ray has confirmed that suspicion, I have no doubts others have, as well. Oh and just a suggestion, I know it might be too much for y’all, but before you guys take up an initiative like this, it’d be awesome if you could let the readers know in some small way and Have those of us interested, send you questions we may like asked. Of course you can screen and only choose to ask / publish those questions which are good. Not only will this allow lesser mortals have access to people like Ray, but will also strengthen that community aspect of the blog. Just a thought. Cheers. I was actually going to ask some questions, but then realised that the interview is already done. Thank you, BFB team, for this absolute delight of an interview! Very, very cool interview – thanks for posting and I look forward to reading Part Two! Oh my Goodness! Our household always wished to have a broadcast with Ray commentating. Can you recall when a certain Ray Hudson commented on this website? I can’t recall any Ray Hudson commenting. I believe it was April 2011 when Ray actually gave a shout out to BFB on a live game, but I can’t remember when he actually posted. Maybe sometime around then? Just want to share with you all–I am going to the Brazil/Chile game here in Toronto next week! I’m very excited to see Alexis, Dani and Neymar in action. this post is off and running like it has a lobster down it’s shorts! Phil Schoen sounds way more reasonable and informed here than he often comes across on TV; he should write a column (here or somewhere else) if he doesn’t already. and it’s very interesting and enlightening to get Ray’s perspective that “every game has a different personality”, something that far too often overlooked or disregarded in the hype-talk about teams or player form and one of the things that make this sport so exciting; on it’s day, any team (within a distance) can beat any other. he nails that aspect of the game with that quote. Ooooo … mmmmm … G! I totally did not know this was happening! Phil! Ray! We love you! *I* love you! I’m so excited! Thank you for contributing to Best Football Blog EVAH! I have been scarce in these parts, but couldn’t resist popping in with some absolutely wonderful news: Kari is returning to the mod ranks! She has most recently contributed the Ibrahimovic analysis, which was one of the most thoughtful pieces of writing I have read in this space. I can’t begin to express how pleased I am that she is returning to the fold. It’s as reassuring as the quality and thoughtfulness of the comments in the Betis match analysis. Thanks to everyone. Really. It’s fun to look at, and, among other things, explains Adriano’s injury history in his first seasons with us: just like Chygrynskiy, he simply got Hlebbed! Ray and Phil (and Ronaldinho…and BFB* of course) helped usher me into a new and totally absorbing sport. I am eternally grateful. *i* knew it was ray the whole time. sheesh. Ok, OT Alert, But I don’t like the way this Iniesta renewal process is progressing. And this time I’m not hating on the board, but I just want to ask some simple questions to Don Andres. Whatever happened to his excruciating humility, his vehement claims that he would play for Barca for a 1 Euro salary and all that jazz? Is it that the board doesn’t make him feel valued? I doubt that considering how he’s a Barca symbol very much like Xavi / Puyol. Or is it just that a 12-13M Euro salary is simply not enough for the most loved world cup winner? Valdes is leaving, Abidal gone, Puyol done, Iniesta unhappy and Mascha already looking elsewhere. Hmmm.. wtf! Masche is looking to move? Where did you get that? My thought is, Iniesta is just making the board suffer a little bit, because of how they let Ricart (I could be wrong with the name here, a great guy from the physcial coaching/medical team)go. I dont think it has to do anything with money. Anyways quite confused about whats happening with Messi, though. Hunter says his relation with Brau is rocky. Elsewhere every one says Brau was promoted and doesn’t have time to take care of Messi. Which one to believe? If the former is right, Messi and Brau should mend the relationship. If the latter is right, who will let a guy like Brau – who managed Messi without any injury for 5 long seasons – out of Messi responsibility? That is quite weird. Something wrotten.. The snag in getting Inesta to renew, according to all sources, is the length of his contract and Emil Ricart situation. The board has to take a long look in the mirror on this one. I just re-read a chapter in Xavi’s book (Mi vida es el Barca) where he talks about considering an exit right before the force of nature that is Pep Guardiola changed everything. He talks about how when there’s discord at the club, it affects team play, and especially the mood of veteran homegrown players who are Cules through and through. How constant pressure, criticism, rumors, impatience and insults from fans and the press wears on them, until they have nothing left to give the club they love. Apparently, back then homegrown players had it tough, their quality was doubted and the crowd called for expensive signings in their place. Xavi himself was called a cancer. Victor is mentioned at length (the book was written in 2008, right before we won everything and the Legend was born). Luis Aragones and Pep Guardiola changed the mentality of Spain and Barcelona by being charismatic, inspirational figures that united the team around a common ideology and against all adversity, and most of all, by winning. I just hope this revolution lasts, and we don’t slip back into the old habits now that Pep is no longer there to right the ship. That was a really great piece on how they’ve handled Messi and his fitness over the years. More reasons to question Rosell. Ray Ray, please keep commenting here. I think the only thing that could make this blog cooler would be if we had Pep or a player. Does it sound like Hunter trying to milk the situation by pointing a rift between Messi and Brau, whereas everywhere else, including Messi’s official release, explains Brau is promoted and dont have time anymore for Messi alone. That sounds very weird for me. How can a management split a working partnership, especially because of the injury history of Messi. I’m not so sure it is. He seems like a nice guy, though. Let the search begin. Find RAY in every comment section! This is such an amazing post! Now BFB is real life! Yesterday for the first time followed a Chess Match live on TV and internet. Almost six hours. Never ever thought watching Chess could be this interesting. Are you from India too? I dont have time for live match, but I do follow. Anand made a poor start, but managed to get back. This test is looking very tight indeed. Yes I am from India. Now in Bangalore. I thought that Anand was dead and buried in that match. Same was the case with Carlsen in the third match. OMgosh you got to interview Ray and Phil! Now if only BeIN had the CL games, too! Great Interview. I want to say that I am from Providence, RI and only got into futbol during the 2006 World Cup. I was and still am a fan of the Italy. I also admired Brazil and Ronaldhino is the player you finally woke me up to your great sport. After Italy won in 2006 I enjoyed the Euro Cup for the first time and saw how beautiful futbol could be played. For me Spain was it. The way they controlled the ball, the precision of passes, the electric goals and David Villa. Still my favorite Spanish player. Since La Liga really wasn’t shown in the US I literally would have to wait till National Teams played friendlies to get to see beautiful futbol again. Oh sure, the Barclays League was on but I didn’t want to see those guys. I wanted to the best players in the world. To me it was in La Liga. When Bein came to my cable provider this year I now get to see the best league in the world. European League does not come close to La Liga. It would be nice if there were more competitive teams from top to bottom but you can look at any sport and it’s the same. I just thought I would let you know from an American who has just got into to this great sport, that La Liga will grow in popularity once all the cable television networks carry Bein. Ray Hudson will attract American fans to the sport once they hear him commentate on a game. He is “genius”! If he and Phil can do a couple of US national team games during the World Cup then I think even more curiosity will bring people to watch La Liga. Viva La Roja and Go Barca!